On Novemebr 6, 2018, Grenadians would once again go to the polls to decide whether or not they would replace the London-based Privy Councel with the Caribbean Court of Justics as the final court of appeal. 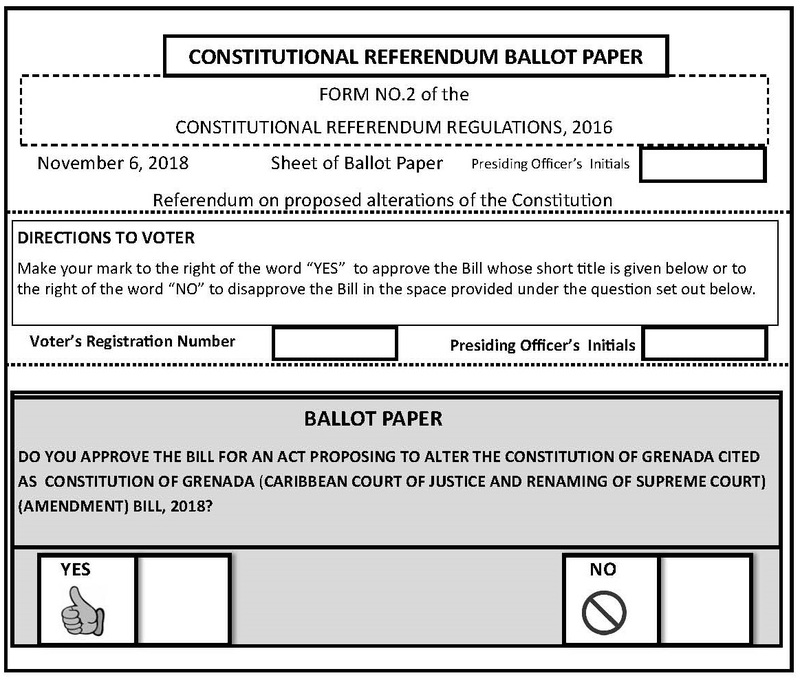 One (1) Bill would be up for approval or disapproval by the Grenadian public. This bill will appear on the ballot as depicted in the picture below.